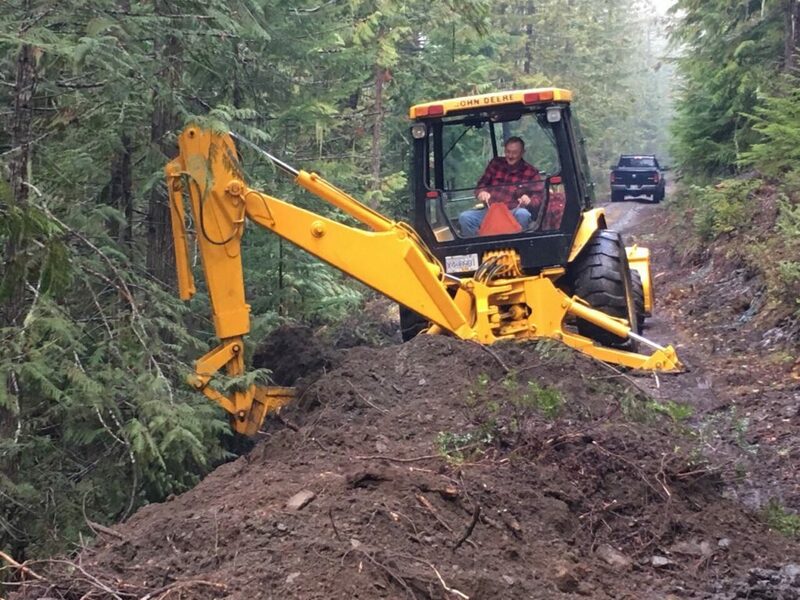 We assisted Kaslo’s Recreation Groups with the upgrade of the ski trail section along the Wagon Road. This section spans between the Warming Hut and the Buchanan junction. Today we donated 4 hrs of backhoe and supervision time towards improvements of the trail surfacing. This work will facilitate KORTS and KDCFS efforts of leveling the surface and improvements to drainage features to which we contributed an additional $400. Upgrades were done by local contractors Ron Jardine and Stan Baker. 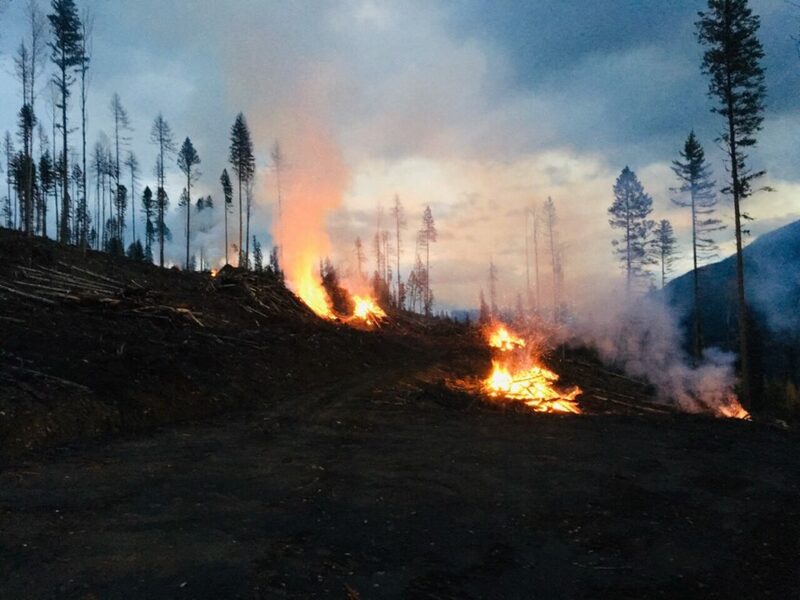 We are also experiencing good venting indexes and burning weather and are cleaning up debris from the summer’s harvest in this area.